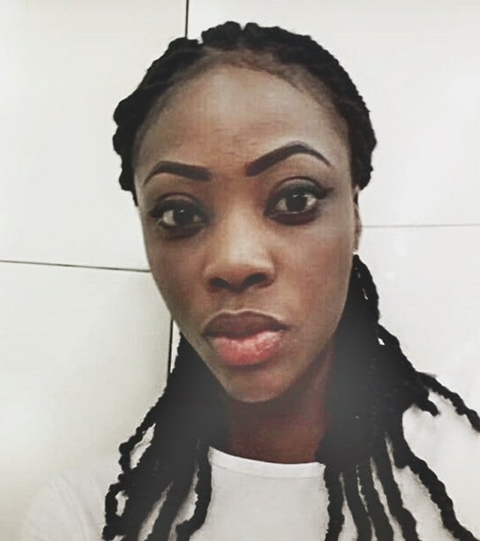 A Facebook user identified as Sandra Joe, has taken to the social networking platform to warn innocent Nigerians about how they welcome customers into their shops, adding that not everyone who walk into the shop wants to buy something, as some are looking for what to steal. The young lady took to Rant HQ on Facebook to narrate how three well-dressed men came to dupe her in her store of a whooping N482,500. According to her, these men walked into her shop and pretended that they wanted to buy 10 Infinix Hot6X. However, each of the phones cost N48,050 so they decided to make a transfer because they did not have cash. The transaction was successful on their phone but when the sales rep went to the bank to withdraw the cash, the money did not reflect in her account, and she is left with paying the huge sum of money. “Admin please approve in order not to let another rant member fall a victim..So I was at the office today eating when three well-dressed men walked in, they said they needed 10 pieces of INFINIX HOT6X and each phone cost 48,050. I was over-joyed that my xmas go dey soft little did i know that the devil was laughing at me....I started writing receipts and when it was time for payment, I gave them our boss's Zenith bank account to make the transfer since they didn’t come with cash buh the transfer wasn’t successful, so the sales girl who was banking with Fidelity gave them her own account number to run the transfer and boooom an alert entered indicating that the money has been transferred successfully. 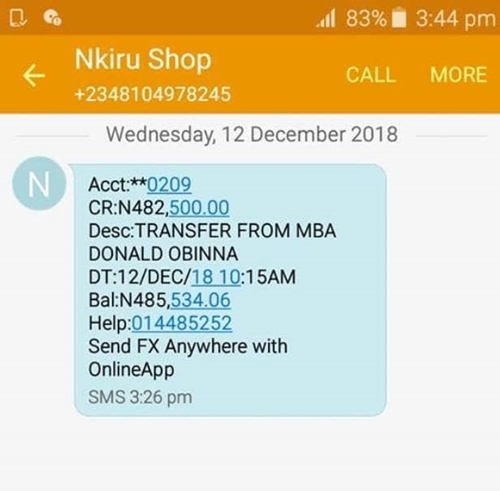 I now sent the girl to withdraw the money as the customers left buh lo and behold the money didn't reflect on the girl's account and that was how i was duped today N482,500 which means the alert was flashing and not real..Now i will be paying for an avoidable mistake. Please you all should stay woke this festive period so that no one will feel the pain that i am feeling now..These day thieves wear suit and tie with matching shoes and briefcase."